Not far from Warner Brothers and Walt Disney Studios, this neighborhood is understandably inhabited by many people in the film industry, who like to show off their yard haunting skills on October 31. Unlike other well-to-do neighborhoods in Los Angeles, this is less of an isolated enclave, so you may actually be able to find parking. 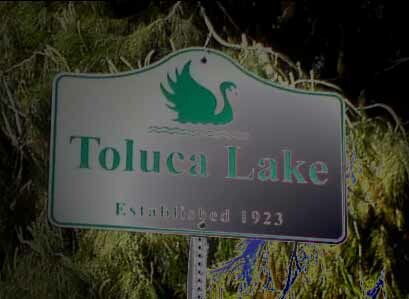 While in the area, you might visit the Toluca Lake Pumpkin Patch, which includes a petting zoo and a brief maze. The scare factor varies: early in the season, especially during daylight hours, the maze is mostly just decorations; on Halloween Night, there may be a few live monsters, too. The pumpkin patch is open 10am to 9pm from October 1 to 31.